We’ve got some great tips to help you enjoy Christmas, so you can spoil yourself and your loved ones without spoiling the planet. Here’s a uniquely seasonal paradox. Is it possible to buy a truly green Christmas tree? Artificial trees aren’t biodegradable and need enormous amounts of energy to manufacture. So it may come as a surprise that buying a real tree is not necessarily a greener option. What makes the most sustainable tree depends on many factors. These will include how many years you use an artificial tree, how and where a real tree is grown, and whether it’s composted afterwards or continues to grow. The best option is to use whatever you’ve already got - or decorate large house plants to make stunning tree substitutes. Remember to put your fairy lights on a timer! If you have one already, use it for as many years as possible to make the most of it. If you don’t have one, try Freegle, Freecycle, Ebay or Gumtree for a pre-loved one. Buying a potted tree with roots allows you to grow it outside and use it again next year, reducing its environmental impact and costing you less. But be warned – they require some looking after and you’ll need a big pot. Read these expert tips on caring for Christmas trees in pots. Don’t let your tree be part of the 90% that end up in landfill. Contact your local council or go to their website to see if they recycle real Christmas trees. Christmas tree rental - what a brilliant idea. Christmas Tree Rentals http://www.christmastreerentals.co.uk/ serve the whole of the UK. You may find other suppliers by searching on the internet. Let your imagination run wild. Homemade craft items or food can be a refreshing and creative alternative to high-street or online purchases. Giving your promise to do something nice will probably be seen as special too. Wildflower seeds, bee-friendly plant poster, bee identification guide, ’20 things you need to know about bees’ booklet, children’s bee colour-in postcards and Christmas wrapping paper. Make a child in your life the star of this colourful story about a homeless bumblebee https://www.foe.co.uk/news/make-child-star-heart-warming-tale-about-humble-bumblebee. All proceeds support Friends of the Earth’s work to protect our planet. The Friends of the Earth shop has a fabulous eco-friendly range of cards, calendars and gifts. So you can do all your festive shopping and support Friends of the Earth at the same time. We’ve also got gift vouchers, so you can let your friends or family choose their own present. Want to treat yourself, or looking for a special gift? Over the Christmas period Apivita is supporting Friends of the Earth by donating 20% of sales from selected items. Their products use 85-100% natural formulas including extracts from plants, beehives and organic oils. So if you fancy a bit of guilt-free luxury, take a look at their bee-inspired range http://www.apivita.com/uk/foe. Why spend if you don’t have to? Pledge to do something nice instead. 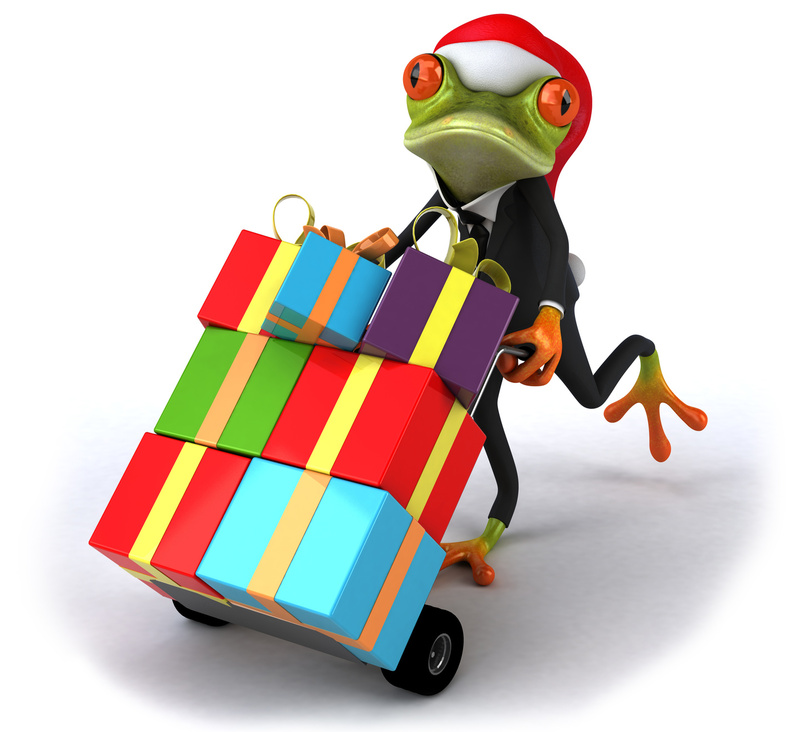 Free Christmas Gift Cheques http://www.moneysavingexpert.com/shopping/xmas-gift-cheques are a lovely way of making your time the thing that counts. A turkey on the table doesn’t have to be a seasonal inevitability. Here are some festive food tips to help you shop and cook for a planet-friendly feast. Why not cut the meat this Christmas, or cook vegetarian for Boxing Day and over the rest of the festive break? According to the Soil Association “food is the single most important, everyday way for people to reduce their own environmental impact”. This doesn’t have to mean endless cheese salads, cheese omelettes and cheese sandwiches. Try the Vegetarian Society or Jamie Oliver for hundreds of fantastic recipes. Vegan brandy butter? It exists, and it’s good too. If you need inspiration for a vegan Christmas, visit The Vegan Society website, or browse through the excellent online Vegan Food Magazine. For planet-friendly meat and dairy, choose organic and free-range, and support greener, small-scale farming methods. Companies like Riverford Farms run dependable organic delivery schemes, geared towards the festive period. And if you want to try to eat less meat all year round Friends of the Earth can help you do that. Sign up to the Let’s Eat Better Pledge https://www.foe.co.uk/page/eat-better-pledge and they will send you monthly emails with recipes and tips for a more sustainable diet. Transforming leftovers can be a great way to create new meals, save money and cut waste. Try Love your leftovers, or the BBC Good Food leftovers recipes - or challenge your family to suggest recipes with whatever ingredients you’ve got in the fridge. Classic winter dishes like turkey pie and bubble and squeak are perfect for making the most of your leftovers, not to mention Brussels sprout curry. Choose food that is light on packaging or loose. If you have too many leftovers, see what you can freeze. If you still have too much, why not donate to an elderly neighbour, local food bank or soup kitchen? Compost any other waste. For more ideas go to LOVE FOOD hate waste. If you’re entertaining friends, mulled wine is a great festive treat. Why not buy from organic wine specialist Vinceremos? Christmas decorations, present wrapping and cards add a touch of flair, colour and personality to the Christmas period. But experts estimate that paper waste over this time is equivalent to 5-12 million litres of biofuel – enough to power a bus to go to the moon 20 times. So why not recycle or make your own Christmas decorations? It’s a great excuse to have fun and keep kids busy. Support Friends of the Earth by buying their eco-friendly set of 10 recycled newspaper gift bags. Or use newspapers or magazines saved from your recycling – magazines will be more colourful. 1.5 billion Christmas cards are thrown away by UK residents each year according to Imperial College researchers. E-cards are increasingly popular for good reason. They cut your carbon footprint, save trees and save money – see Friends of the Earth free e-cards. If you prefer to buy cards, take a look at our eco-friendly Christmas cards. From baked Christmas decorations to matchbox baubles, try these Christmas craft ideas. Looking for eco-friendly and Fairtrade Christmas decorations? Our favourites include Christmas stockings made from recycled sari fabric, felt dove and robin decorations, recycled sari bunting, distressed glass baubles and a cloth advent calendar kit. Have fun the old-fashioned way with parlour games. If you don’t already have your own favourites, you’ll find plenty of suggestions for family-friendly games online. Find more in Parlour Games for Modern Families, which has games of logic and memory, wordplay, card games, role-play, and rough-and-tumble. The Ramblers website is a great resource if you’re looking for local walking groups or routes. Alternatively visit The Canal and Rivers Trust for information about frosty walks along Britain’s beautiful waterways and canals. The National Trust offers a full calendar of festive activities and events at Christmas, in some of Britain’s most stunning homes and sites. Make Christmas travel greener by sharing shopping trips and lifts with friends and family. Use public transport, or shop online and get bulk deliveries. Turn your holiday into a getaway. The UK has plenty of wonderful outdoor cycling opportunities. Escape Routes by Matt Carroll has 60 scenic routes for both day-trips and longer weekend breaks. 26. Finally ….you could save your Christmas cards, wrapping paper and unwanted Christmas cracker toys, then have a fun crafty day with the children making Christmas cards for next year, ironing the best wrapping paper for next year and make yourself some Christmas crackers. 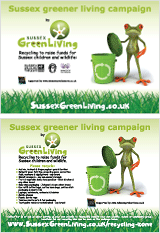 There are lots of ideas online, take a look here http://www.sussexgreenliving.co.uk/2014/12/rescue-your-christmas-waste/. Have a really GREEN Christmas! This entry was posted in Children & nature, Green stats, facts & news, Recycling facts, Seasonal celebrations. Bookmark the permalink.